Marjorie Elizabeth “Betty” Carr went to be with the Lord Friday, August 12, 2016. She lived life to the fullest for 96 years. After being ill for only a few days, Betty was surrounded by her loving family at home at the end. She was born on December 14, 1919 in Franklin, Simpson County, Kentucky. Betty grew up during the depression and went to High School in Nashville, Tennessee. Her education continued at the Western State Teachers College in Bowling Green, KY. Determined to make a career for herself, she completed St. Joseph School of Nursing, Memphis, TNwhere she became a registered X-Ray Technician in 1944. After 40 years in the Health Care industry Betty retired in 1983 from Shelby County Health Care Center. 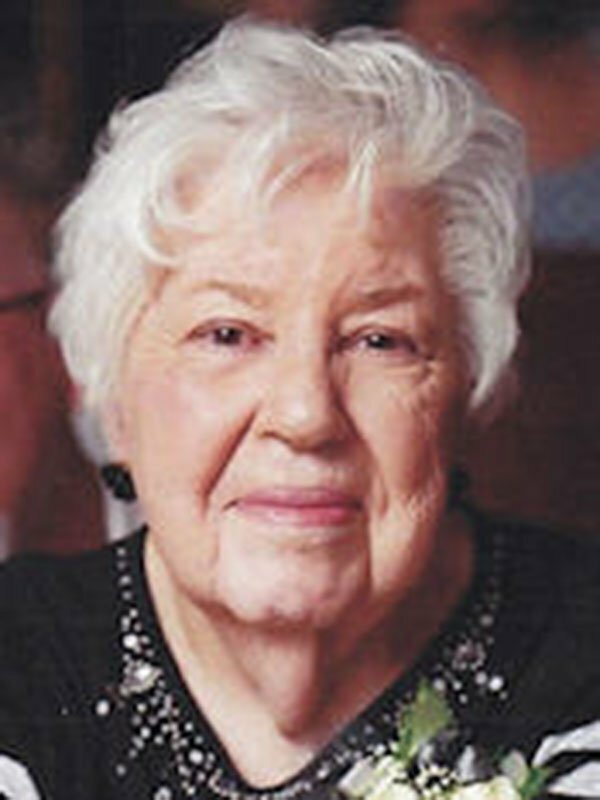 Her marriage of 8 years to James Paul Meyers, Jr., ended after a long illness. Betty became a single mother of 2 daughters, juggling career and parenting. She was determined to keep their home in Frayser, Tennessee and learn to drive their new car . A faithful member of Frayser Baptist Church, her undaunted strength and unwavering faith carried her through the following years a perfect example of selfless love. Preceded in death also was her late husband, Floyd L. Carr. Betty leaves her beloved daughters, Patricia Gayle Meyers Whitehead, Paulette Meyers Hayner; grandchildren, Sherri Kilkenny, Paul Busby (Ammie), Mitchell Hayner (Keiko), Bettina Fenwick (Patrick), Claire Hayner; great- grandchildren, Audrey Froggatt, Adam Kilkenny, Dylan Fenwick, Isabelle Fenwick, Jacob Busby, Jordan Busby, Gigi Hayner. She was our precious loving Mother, Mammaw, and friend. The funeral for Marjorie “Betty” Carr will be held Tuesday, August 16th at Cornerstone Church, Southaven, MS. Visitation will be at 1:00 p.m. with the service following at 2:00 p.m.. Interment will be at Autumn Woods Memorial Park in Olive Branch, MS. Previous CHIEF RON WHITE, SR.